Product #55559 | SKU PS750W | 0.0 (no ratings yet) Thanks for your rating! 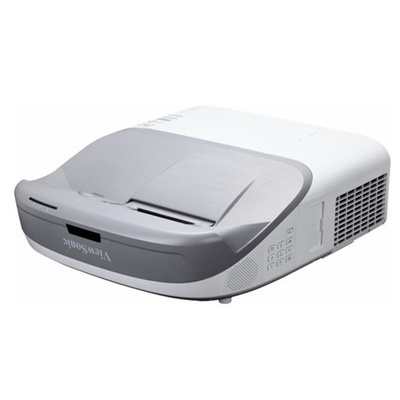 The ViewSonic PS750W projector is a total solution for school projection, complete with interactive modules, wall mount kit and digital whiteboard software. With the ability to project 100” images from a distance of only 0.16m* from the projection surface, the projector is flexible enough to fit any classrooms installation and keeps the projection beam out of sight and eliminating image shadows for distraction-free classroom application. The all-in-one interactive solution encourages collaboration in the classroom and eliminating the installation problems. A customizable wall mount with quick installation and flexible adjustment featuring a 3-axis alignment system. The interactive module supports and recognizes finger touch, allowing users to work on projected images collaboratively. Display Size 87" ~ 120"